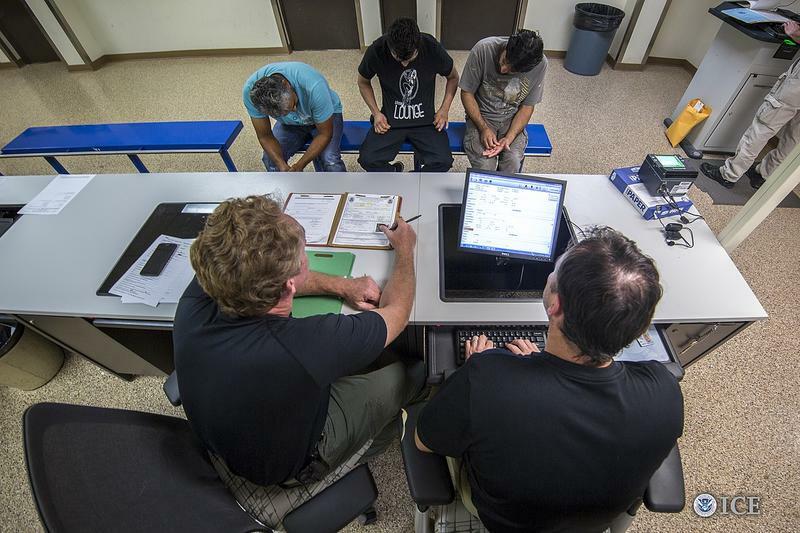 Immigration and Customs Enforcement agents with detainees. With Congress in a heated immigration debate, the Ohio Valley region is adding to its immigration courts. Sources within the Justice Department say Kentucky will have a new immigration court operating in Louisville as soon as April, and Ohio is adding additional judges to handle deportations and other immigration cases. Recent immigration changes and heated rhetoric have left many people in Kentucky, Ohio and West Virginia with an uncertain future and lawyers and courts with a backlog of cases. Rosa Gonzalez was hoping for a better life when she came to the U.S. 20 years ago from El Salvador at just 16 years old. Today, she hopes that she can stay out of court and remain with her two children and husband in Ohio. “As of right now I have an open case,” she said. Her husband is a U.S. citizen, providing a possible path to legal residency. But the sudden changes in another area of immigration policy leave her status unclear. Gonzales is just one of nearly 3,500 individuals in Kentucky, Ohio and West Virginia who received federal Temporary Protected Status, or TPS visas. And that protected status could soon end for many of them. TPS visa holders come from El Salvador, Haiti, Honduras, and 7 other countries affected by armed conflict or natural disaster. Last month, the Department of Homeland Security decided to revoke protections offered to Salvadorans. In less than a month many TPS holders will lose legal status unless they successfully filed for a renewal or had some other path to citizenship. Crestwood, Kentucky, immigration attorney Angela Kortz Funke says Gonzales has a right to be worried about deportation. Funke said non-criminal immigration arrests are up. 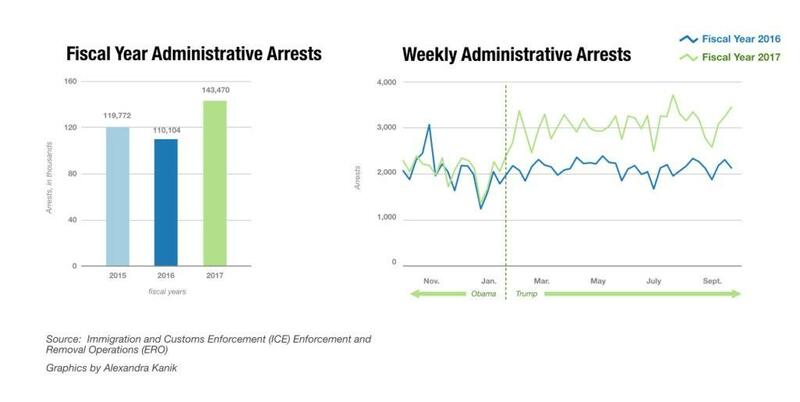 Federal data show Immigration and Customs Enforcement arrests have increased by 30 percent over the past year. Further, Funke said, the Trump administration’s changes make it harder for people in Gonzalez’s situation to get a fair hearing. For example, she could apply for citizenship because her spouse is a U.S. citizen. But if she were to be detained in the meantime, that might not matter. Funke advises immigrants at risk to get a lawyer and file for appropriate waivers. If an immigration officer comes to the door, she has advice. The Justice Department has yet to comment on the new immigration court Funke and others in the immigration law community said is coming to Kentucky. Funke said having a new court will make it easier for her to locate her clients. Now, those clients are often moved from one detention facility to another making it difficult for her to find and defend. Gonzalez said she knows that TPS is temporary, but she didn’t think it would end in the sudden way this administration has ordered. The Department of Homeland Security says TPS holders can apply for non-immigrant status or any other immigration benefit or protection eligible to them. But that takes time, and that’s something Gonzalez might not have.